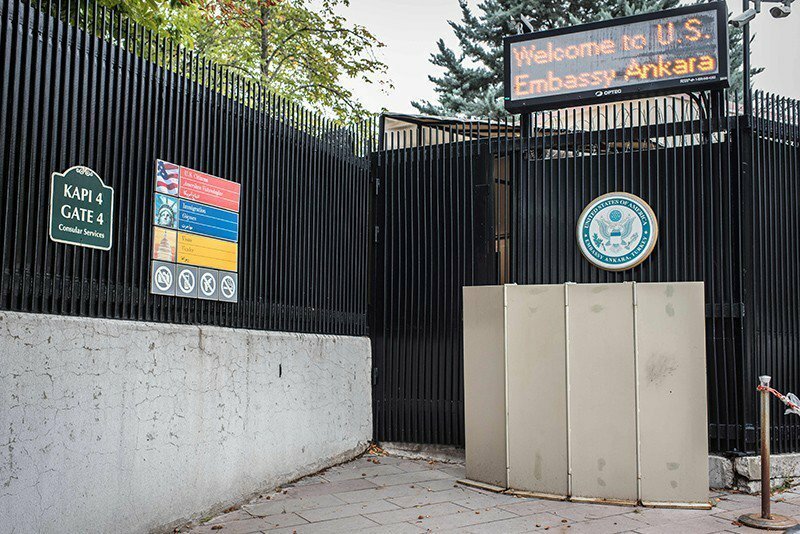 Two people suspected of attacking the U.S. Embassy in Ankara, Turkey were detained by the Police. Daily Sabah reports. The suspects were detained with weapons. The car used for the attack has also been found by the Police, The Administration of the Governor stressed. According to the Police, both detainees have already been convicted in the past. The U.S. Embassy thanked the Police and the Government for the prompt and professional detainment of two people who probably attacked the mission. Reportedly, the security post near the U.S. Embassy to Ankara, Turkey was shelled today. The shooting was carried out while the car was going. No one was wounded during the attack.